Spacious 2br/2ba corner end condo with over 1000 sq. ft. of living space, 2 separate lanais, with central A/C. 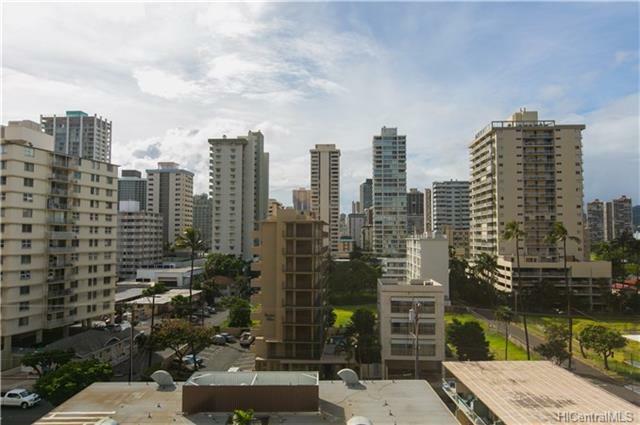 Prime location on the end of Waikiki within walking distance to Waikiki Beach, Kapiolani Park, Honolulu Zoo, shopping, restaurants, dining and more. Smaller well managed building. Perfect place to live full or part time. Fully furnished so just bring a toothbrush. Building is pet friendly! A must see.